Dysgraphia symptoms are important to understand. Knowledge of them will greatly enhance your ability to diagnose dysgraphia. But understand that all dysgraphia symptoms can be distilled down to one simple concept. The brain of a dysgraphia sufferer has trouble communicating with the hand when writing, and the hand has trouble giving the necessary feedback. It is a “written expression disorder” of sorts and means only that the affected person has trouble writing. It isn’t a sign of intelligence, initiative, drive or apathy. It’s just a physiological communication issue that can be overcome. 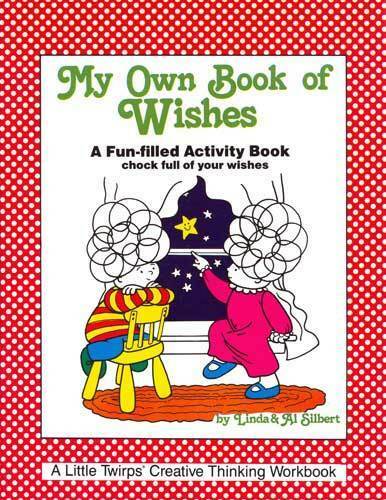 Since dysgraphia affects the ability to write, all its symptoms are related to that. If you can answer in the affirmative to the following questions, then your child may indeed have dysgraphia. If so, call us and we’ll help you move to the next step. Despite great efforts, does your child have poor penmanship? Does your child ever complain that it hurts to write? Does your child excel in verbal communication and have little difficulty, if any, forming and communicating ideas? How about simple things like failing to use capitals and punctuation correctly? Does your child’s anxiety level rise at the thought of a writing assignment? Have you noticed anything strange about how the pencil is gripped? Do he/she grip very tightly? Does your child do well with the keyboard? Better in fact than with written work? Finally, does the aversion to writing extend to things like coloring and artwork? These are all common dysgraphia symptoms. Of course, dysgraphia is a human issue not a robotic issue so things will vary from one person to another. If you really can identify with these symptoms then your child may in fact suffer from the effects of dysgraphia. We’d encourage you to take the next step at this point. 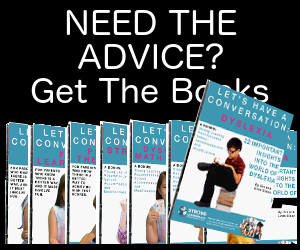 Call us so we can help you understand how to properly diagnose your child, what steps to take at school and what the dysgraphia road map looks like. There are many, many successful people who’ve overcome dysgraphia. And with the advent of the computer in the classroom – more and more are overcoming it all the time. 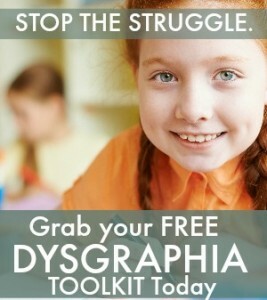 To get fun activities that help kids with writing, pick up a free copy of my Dysgraphia Toolkit: How Singing, Playing Games and Other Fun Activities Can Help Defeat Writing Disabilities. I think my 15 year old son is suffering from dysgraphia. He is very smart but has always struggled with writing and math. He still mixes his bs and ds, but has no trouble reading. He has always been homeschooled. Are there any curriculums or products I can order to help him with his struggles. Unfortunately, his freshman year was awful because 3 of his curriculums contained lots of writing in workbooks. In fact he still hasn’t finished earth science or history. It is just a struggle to write so much in answers. Any help would be appreciated! I was wondering how old a child should be before we start exploring these options. My son is 5 years old and in Kindergarten. His teacher is noticing that his reading is fine but he lacks “directionality” in his writing. She says that he writes all over the place. When she writes something down, he can’t copy it without writing all over the paper. Is this developmentally appropriate? We have often thought he could be ADD (without hyperactivity), but wondering if it could be something else or just a 5 year old who hasn’t completely developed yet. I also will add that his pre-k teachers, and now kinder teacher, plus the doctor state his hands are weak. I just need some advice because I don’t want learning to be a tough road for him. My son has recently been diagnosed with scotopic sensitivity syndrome, autistic spectrum disorder and mild dyslexia. He also has a delay in speech which does affect his spelling. His biggest difficulty is in reading and writing. He cannot get the information from his head to his hand. If he learns spellings verbally he can often tell you them correctly but when you ask him to write the same ones down its jibberish with letters reversed etc. He has spent countless hours practicing writing, spelling etc and still displays the same difficulties. I came across dysgraphia by mistake but when I read it it did sound so much like his troubles are. As he has all the other diagnosis’s its hard for someone to see beyond them as the cause of some of his difficulties but when his teachers have discussed his difficulties with us that is how they describe them. He’s now 11 nearly 12 and at his secondary school he has a laptop to use but the staff there no matter how supportive still try and get him to write down himself in most lessons and this is causing his stress levels to rise again. If it could be dysgraphia how would I go about getting him assessed.